One of the most important aspects of any commercial construction job site is worker safety. 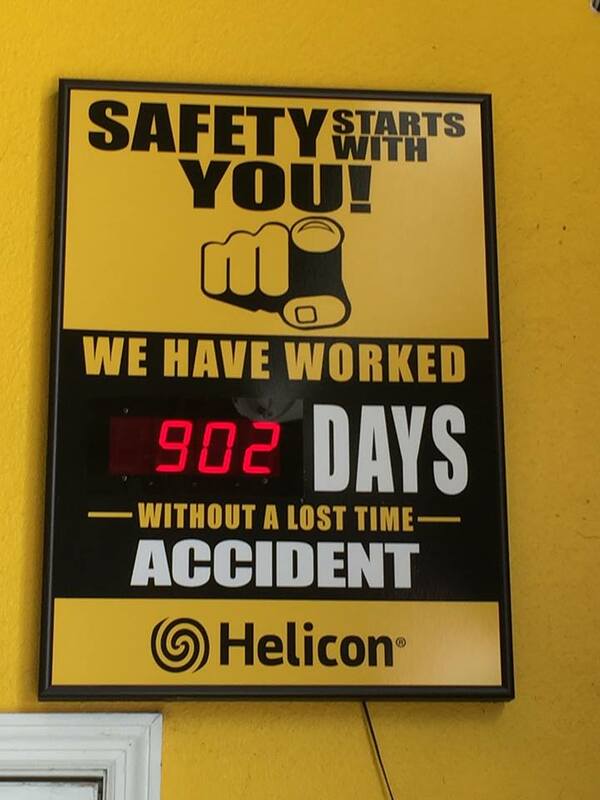 Establishing a safety program that you can refer to on site can help foster a proactive mindset when it comes worker welfare as well as helping to guide you if something does go wrong. We’ve put together some of our top safety tips to help you keep things running smoothly when you’re out on a job. Before actually being on a job site, it’s a good idea to try to familiarize yourself with any information you can about the site itself. This includes any hazards that your team should be aware of as well as any potential hazards that are more likely to occur. Assessing potential hazards ahead of time can help you and your team be more efficient when you’re on the job. When you do arrive and begin working, make sure to continuously check the site, as hazards can arise after you’ve gotten there. You’ll want to make sure that your checklist is tailored to your specific job site, but many of the hazards that do arise can be categorized into those listed above. Often overlooked aspects of on site safety are scheduling and size of your crew. Working long hours, especially during commercial work, can be exhausting, physically and mentally. You should know who is on the job with you and how fresh they are (is it their first few hours of the day, or have they already worked 12 hours? ), especially so if you’re working a night shift. Additionally, having too few or too many crew members on site can increase the likelihood of an accident. Too few and your workers will be spread thin, potentially resorting to unsafe working methods and too many workers could lead to crowded workspaces. Being aware of your surroundings at all times can help you keep everyone on your crew safe. While moving around the job site, think in x,y, and z planes, that is, left and right, above and below, and in front and behind. People are much more aware of what is in the direct vicinity, but tend to pay less attention the further away something is. Awareness is especially decreased with job site surrounds when they are above or below you, which is why you should be cautious when entering or leaving a job site. Whether it’s your first time managing a crew, or you’ve been working commercial jobs for years, keep yourself and your team safe by following some of these tips. Newer PostHow Do Waterfront Conditions Affect Your Foundation?